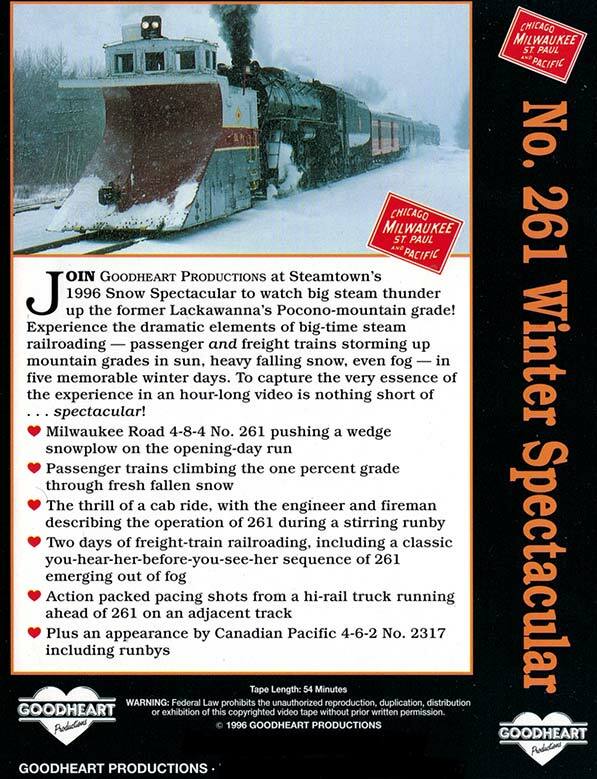 Join Goodheart Productions at Steamtown's 1996 Snow Spectacular to watch big steam thunder up the former Lackawanna, Pocono-mountain grade! Experience the dramatic elements of big-time steam railroading - passenger and freight trains storming up mountain grades in sun, heavy falling snow, even fog - in five memorable winter days. To capture the very essence of the experience in an hour-long video is nothing short of . . . spectacular! BigJim4Life (Morrisville PA US) on 2019-02-20 16:00:07. An oldie but a goodie - with a lot of great action over multiple weekends of trips and various sequences along the route. Predictably, with multiple charters being run, many of the same locations were used for photo runbys, so there are some angles/locations used multiple times. There are some extremely unique shots too, such as a pacing shot from a caboose on a separate train just ahead of the 261 on the next track, and also an in-cab shot of a runby, with the fireman and engineer mic'ed up and explaining the whole runby process as it happens. Overall, I'd definitely recommend this video! Steamboy (Revere MA US) on 2018-02-04 21:17:27. This now 22 year old video features incredible snow busting action, as not only 261 wore a Lehigh & New England decapod steamboat whistle, but also did an excellent job hauling freight and passenger specials to Tobyhanna. Not only was 261 the main star of the show, you�ll go in the plow, see a wedding in 261�s cab, as well as ice harvesting, plus CP 2317 taking photographers back to Scranton. 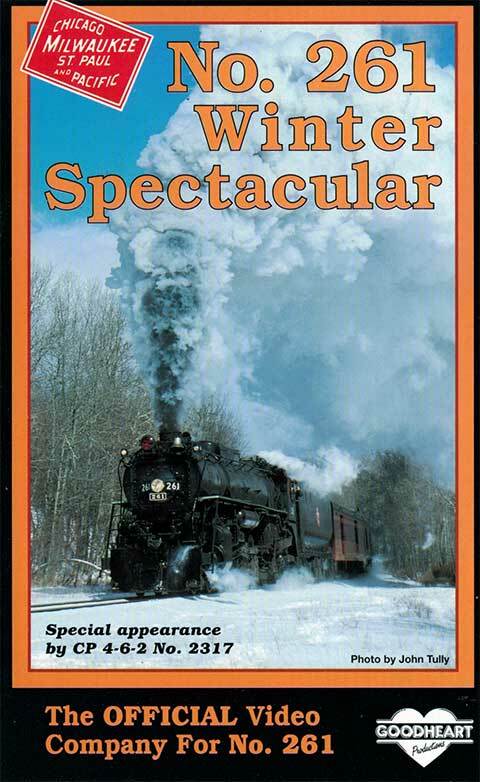 Only 3 railroad video producers were there for the winter wonderland special such as goodheart productions, revelation video, and mainline motion pictures.